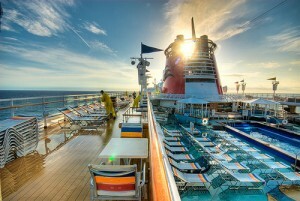 Home / CRUISING THE PAST / Cruising The Now: DISNEY MAGIC – Cruise Ship Review – Walt Disney was an avid cruiser. 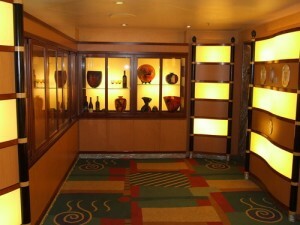 Cruising The Now: DISNEY MAGIC – Cruise Ship Review – Walt Disney was an avid cruiser. 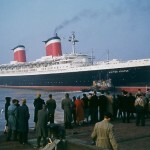 Walt Disney, an avid cruiser, sailed with his family in the 1950s aboard the SS Lurline. The video shows sailing day from Honolulu in the 50s – Disney and his family would have experienced this event. It was magical. 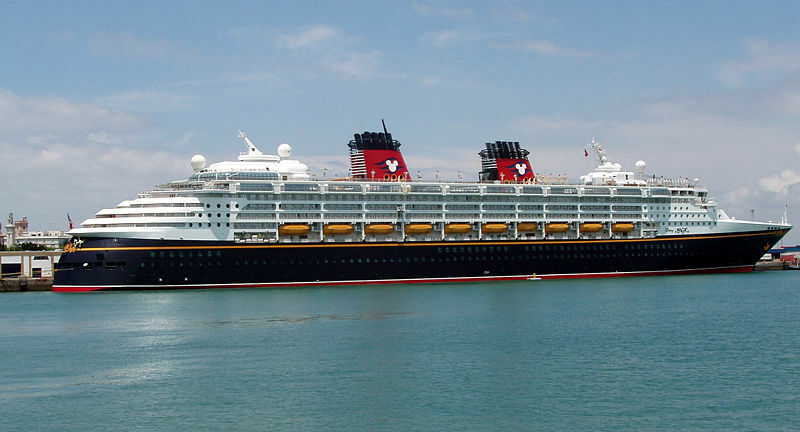 Today, Walt would be sailing aboard Disney Cruises and the Disney Magic. 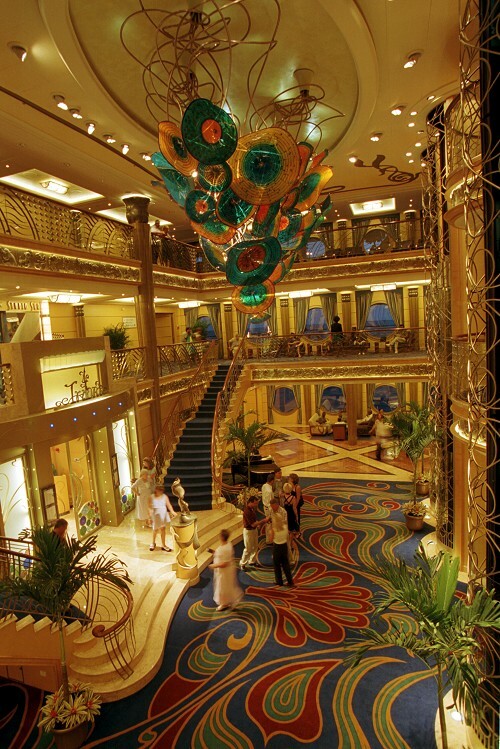 Walt Disney would have approved of Disney Cruises. Walt was an avid cruiser and sailed on many famous ships Obviously, Walt’s love of great ships influenced Disney Cruises. His legacy lives on aboard the Disney Magic. Reminiscent of classic ocean liners, Disney Cruise vessels have two funnels (the forward one is nonfunctional) and high-tech interiors behind their art deco and art nouveau styling. 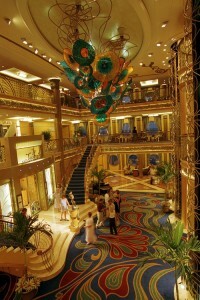 For a newer cruise ship, the Disney Magic has classic lines and is reminiscent of famous ocean liners of the past. 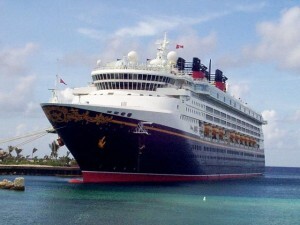 Our review of the Disney Magic is done with a look back at the many liners Walt Disney sailed on. Whimsical design accents cleverly incorporate the images of Mickey Mouse and his friends without overpowering the warm and elegant decor. Artwork showcases the creativity of Disney artists and animators. The atmosphere is never stuffy. Some of the ships Walt Disney and his family sailed aboard. 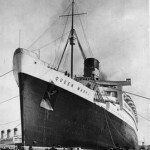 (Lurline, United States and Queen Mary). Passengers aboard the Disney Magic range from the obvious—parents and children—to three-generational families and folks without children, attracted by the Disney attributes yet able to enjoy the adult section of the ship, with no children allowed. For adults there’s a piano bar, rock ‘n’ roll music, comedy club, disco and films. Couples without children love it. 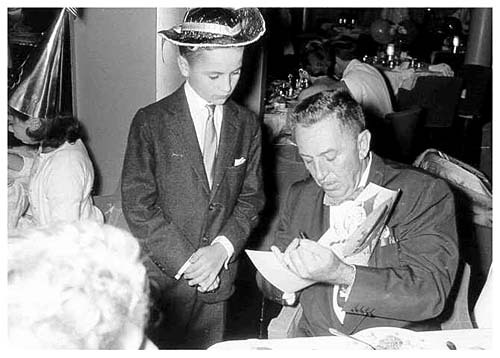 Walt Disney signing an autograph for a young fan aboard the SS United States during a 1950s crossing from New York to Europe. 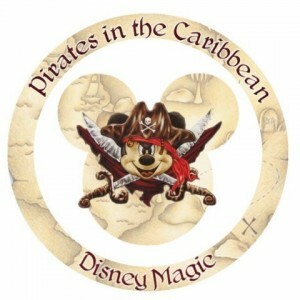 Both Disney and the boy are wearing party hats – it was probably Captain’s night aboard the famous vessel. 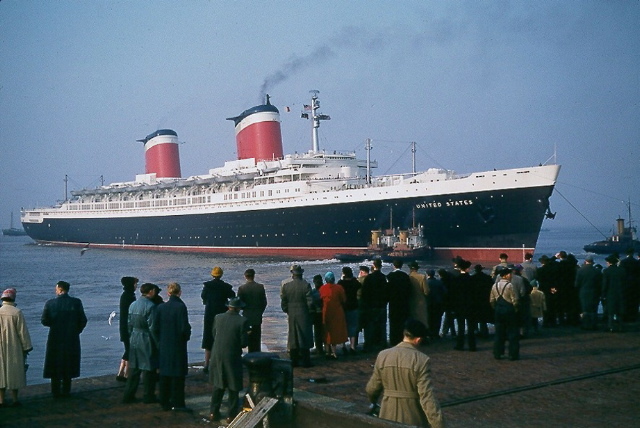 The SS United States held the trans-Atlantic speed record. More than 15,000 square feet aboard the Disney Magic —nearly an entire deck—is devoted to children’s activity centers, outdoor activity areas, and swimming pools. Theaters cater to family entertainment with large-scale production shows, movies, dances, and lively game shows. 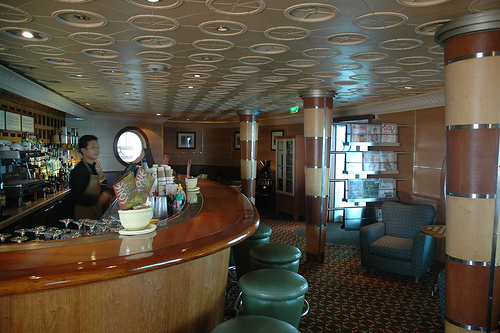 Disney Magic’s Cove Cafe carries on the theme of the art deco trans-Atlantic liners such as the Queen Mary and the Normandie. Ships that Walt Disney sailed aboard. Adults-only hideaways include an avenue of theme bars and lounges tucked into the area just forward of the lobby atrium; the Promenade Lounge, near the aft elevator lobby; and Cove Café, a quiet spot adjacent to the adult pool to relax with coffee or a cocktail, surf the Internet, or read. The ship’s horn plays “When You Wish Upon a Star” at sailaway and nearly everyone admits to getting goose bumps. 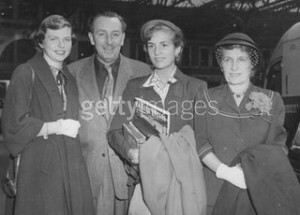 In the 1950s – Walt Disney sailed with this wife and daughters on the Matson Line’s SS Lurline to Hawaii (left). Mr. and Mrs. Disney had sailed in the 1930s on Matson Lines. 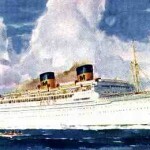 Walt was a big fan of cruise travel and sailed trans-Atlantic many times. 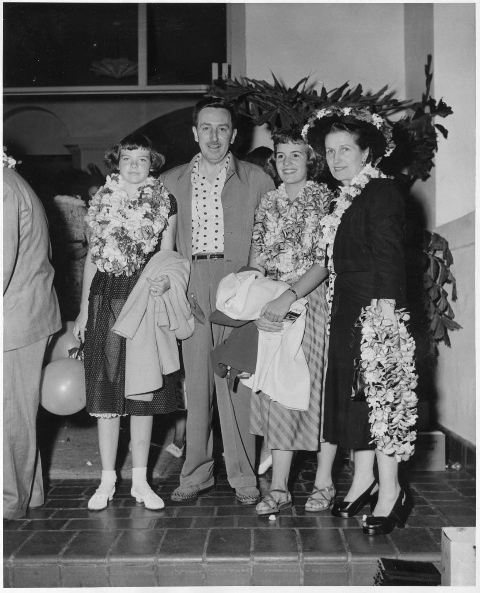 Walt Disney first sailed to Hawaii with his wife, Lillian, in 1934. Disney was very friendly with passengers and even sketched Mickey Mouse for a man from Pasadena, California. 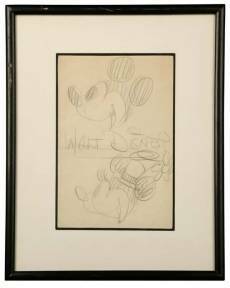 On the back of the sketch (right) Disney signed it. In the mid-1990’s, Disney experimented with booking cruises on what was known as The Big Red Boat, a modest and older cruise liner in the now-defunct Premier Cruises fleet. 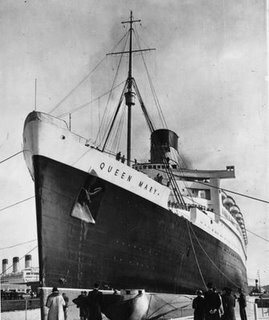 The experiment was such a success that the company commissioned two ships to be built to exacting Disney standards, with the most modern technology inside and the sleek classical lines of earlier ocean-going ships on the outside. 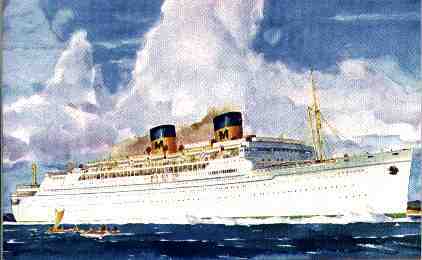 On this day in 1951, Walt Disney and family were aboard the RMS Queen Mary, on their way to England. Disney’s feature animated film, Alice in Wonderland, was set to be released little more than a month later in the United States and the United Kingdom. Apart from his role as film producer, he was at this time also working on another project: Disneyland. It would open in Anaheim, California, in 1955. Disney Magic, launched in 1998, was the first of these vessels to be delivered. Disney Wonder debuted a year later. There was a certain amount of risk in designing and building these two large premium-quality ships. Would they appeal to families, including the adults who make the purchasing decisions? Would they offer enough activities to cater to all age groups? Could they attract cruisers without children? 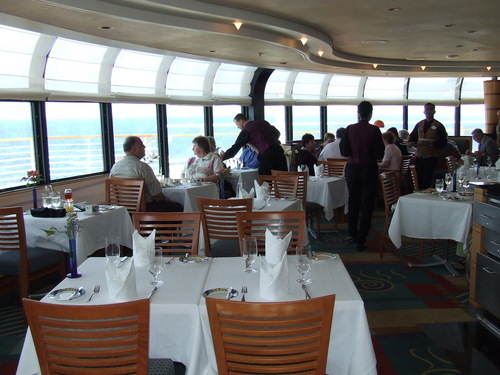 In essence, could they satisfy a wide-enough range of cruise travelers? After some early faltering, particularly with adult-oriented activities, and some tweaking (for example, adding bingo; opening Palo, the adult-only fine dining restaurant, for a lavish Champagne brunch on several days; and creating Cafe Cove, the adults-only coffeehouse with books, newspapers, magazines and a small Internet center), Disney Magic has evolved into a classic, elegant cruise ship with universal appeal. 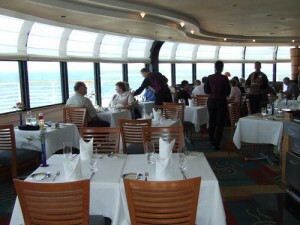 In a unique approach to dining, passengers (and their waiters) rotate through the three main dining rooms in two assigned seatings. 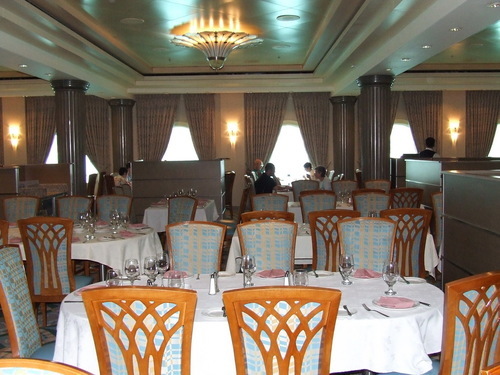 Parrot Cay and Animator’s Palate are casual, while Triton’s (Disney Wonder) and Lumière’s (Disney Magic) are a bit fancier. Palo is a beautifully appointed northern Italian restaurant for adults only that requires reservations. 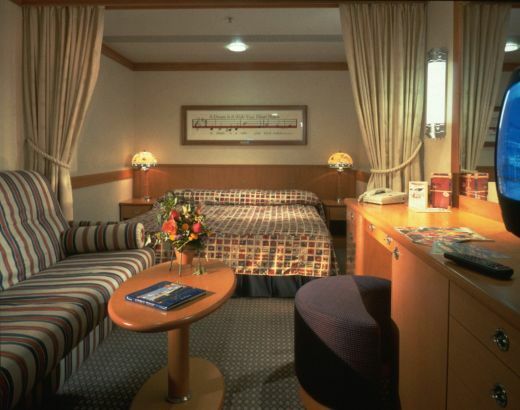 Designed for families, Disney ships have some of the roomiest, most functional staterooms at sea. Natural woods, imported tiles, and a nautical flavor add to the decor, which even includes the touch of Disney-inspired artwork on the walls. Most cabins can accommodate at least three people and have a sitting area and unique bathand-a-half arrangement. Three-quarters of all accommodations are outside cabins, and 44% of those include private balconies with kid-proof door handles and higher-than-usual railings for safety. 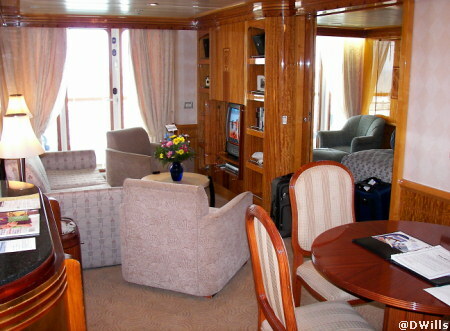 All cabins have adequate closet and drawer-shelf storage, as well as bathroom shelves. Amenities: Though not luxurious, Disney cabins are comfortably furnished, and each has a small refrigerator, personal safe, and a hair dryer; bathrobes are provided for use during the cruise in the top-category staterooms. 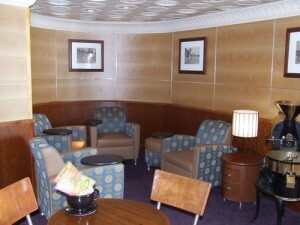 All suites have concierge service. The Suites are truly expansive, with master bedrooms separated from the living areas for privacy. All suites have walk-in closets, dining table and chairs, a wet bar, VCR, and large balcony. A plus for Disney ships: Sixteen cabins are wheelchair-accessible. Even though only potty-trained children can enter the swimming pools, youngsters who wear swim diapers aren’t left out entirely; a special filtration system allows them to use the Mickey’s Pool play area. Every parent knows that little details like that can make or break a child’s day. Fast-food favorites are alternatives for meals on the go: burgers from Pluto’s, pizza from Pinocchio’s, and ice cream at Scoops. You should be aware that, although a Disney cruise isn’t all Disney all the time, it can get tiring for passengers who aren’t really into it. There’s no library, but reading materials are available in the Cove Café. Conde Nast readers rated Disney Cruise Line #3 in the large ship category. Disney is very well organized and keeps you very well informed of what to do, expect, and plan on each segment of your trip whether it’s the shows, shore excursions, daily activities for kids of all ages, families, couples, and singles/single parents. 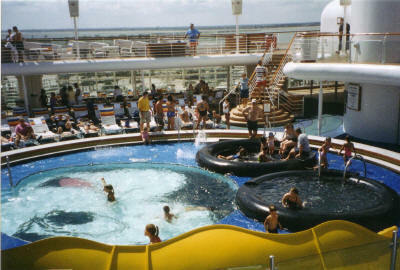 Days at sea are a pleasure too with so many activities to keep adults and kids entertained for weeks. There is world class entertainment onboard. There is live music at the pools and in the clubs. The adult only area offers a variety of entertainment. Family fun abounds from Karaoke and dance parties to game shows, etc. You can grab a chair next to Goofy on deck or just soak up the sun. 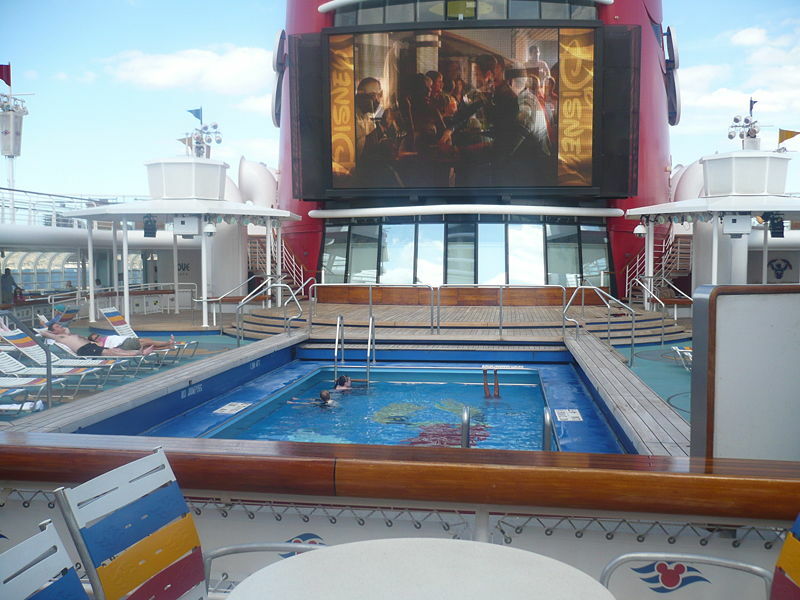 The ships have jumbo screens poolside for movies and shows.Disney cruises offer separate areas for the kids, teens, adults and families. Grand-parents hosting their family, can retreat to an adult only area. This is unique on Disney and would be welcome on other crusie lines where kids terrorize the ship without much control. Disney service is first class as their reputation precedes them. Next: The RMS Empress of Ireland sinking resulted in the deaths of more passengers than the RMS Titanic disaster.